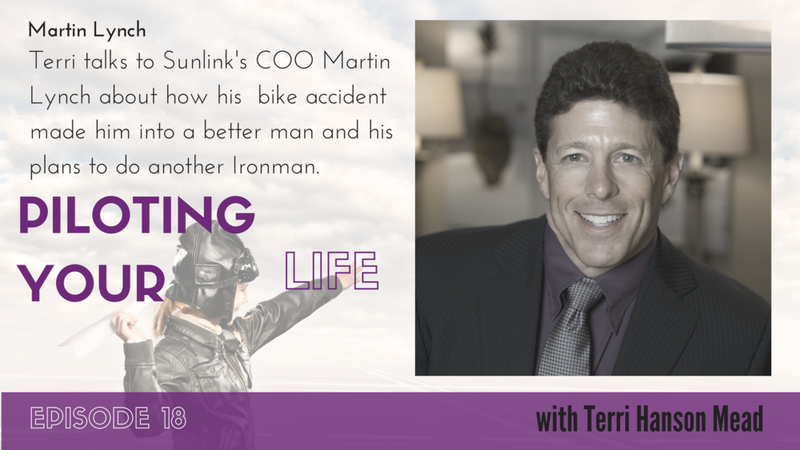 Terri talks to Silicon Valley tech executive Martin Lynch about how his catastrophic bike accident in 2014 made him into a more empathetic man and how is determined to do another Ironman. Martin is a Silicon Valley high tech executive and currently the COO of SunLink. He is an experienced tri-athlete and Ironman competitor and lives in Los Gatos, CA with his incredibly supportive wife Kelly and their teenage daughter. He had a catastrophic bike accident in 2014 that resulted in significant injuries that he continues to recover from and live with three years later. He continues to work towards being able to compete (to his satisfaction) in another Ironman and is writing a book about his experience. Did his athletic training help him in his recovery from a mental perspective? So much in life is mind over matter.